Oster "Blending" Guide Comb * 1/8" for 820, 284, 274, etc. 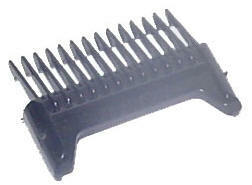 Oster Blades & Accessories: "Blending" Guide Comb 1/8" for 820, 284, 274, etc. * Size: Blending Comb 1/8""